It really can’t be stressed enough how big All 6’s And 7’s has become. Within the first week of release, the album is being reported as Tech N9ne’s highest selling. Pre-orders of the album reached record sales, and with so many exclusives, fans everywhere have been showing off their new collectibles. 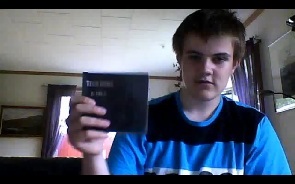 The reach is so far in fact, that one fan in Norway took to YouTube to unbox his own All 6’s And 7’s pre-order. Excited over his new Tech N9ne album, the fan goes through each item in the package, and is surprised to see 24 brand new tracks. Tech N9ne is reaching new heights of stardom, and it looks like All 6’s And 7’s is becoming a global phenomenon.